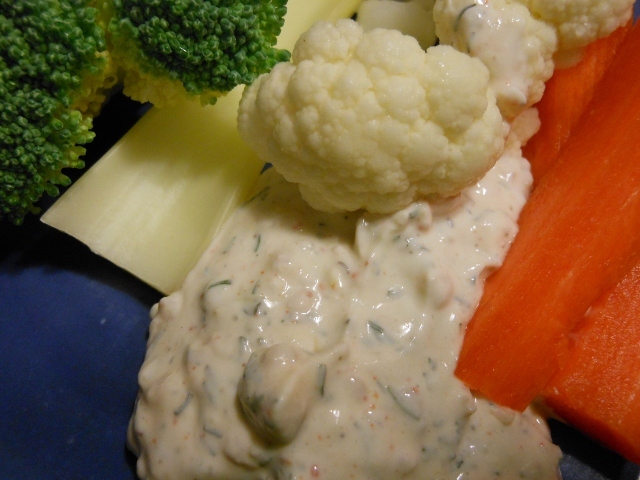 I thought I would try a vegetable dip tonight. 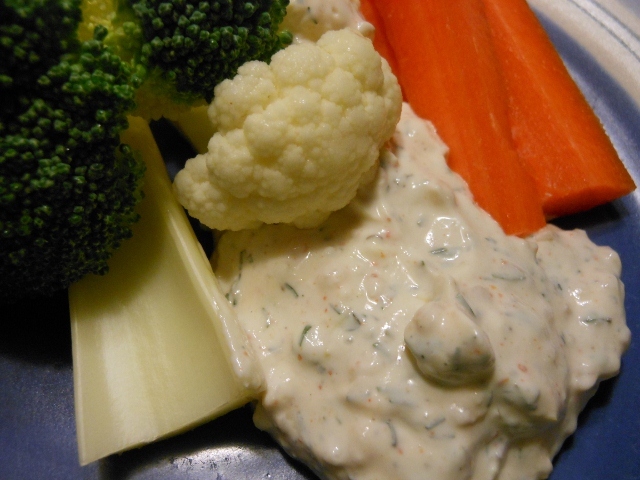 It came out pretty good; reminded me quite a bit of a french onion potato chip dip but the hint of lemon lightened it up so it was tasty on the veggies. Combine all ingredients in bowl at least 30 minutes before serving. Chill until ready to serve.